Ranger Ethan Ortega is the man who is doing the job for us at Coronado Historic Site this year! 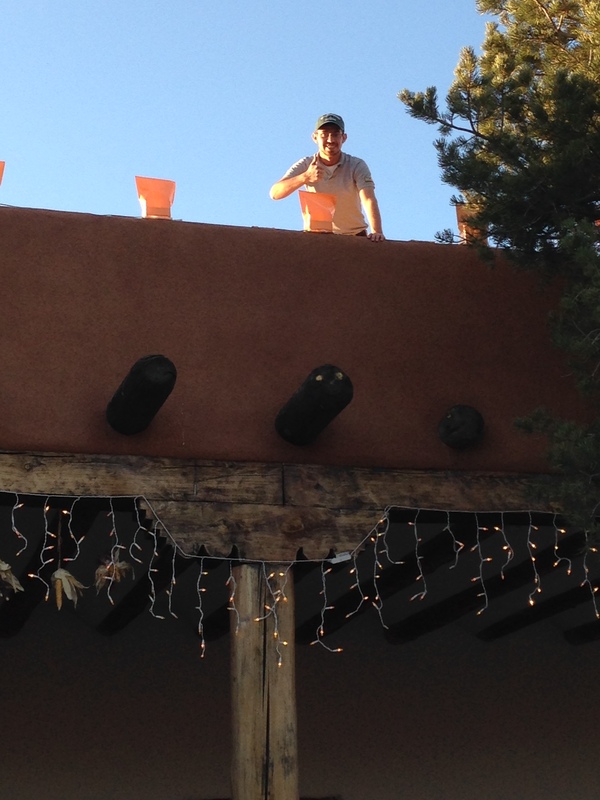 All week he has been on ladders, carrying strings of lights and bags up onto the rooftop to decorate for our annual holiday event. I can’t wait to see how beautiful the site will look on December 6, when the pueblo is lit up for our celebration! Come join us for pueblo dancing around the bonfire, children’s crafts, and cookies! It will be from five to eight pm on Sunday evening, and for this event, there is no admission fee. Tags: Christmas, Coronado Historic Site, Decorations, Farolitos, Friends of Coronado Historic Site, Holiday, Kuaua, Kuaua Pueblo, Lights of Kuaua, Luminarias, New Mexico. Bookmark the permalink.